Join the discussion on our forums! 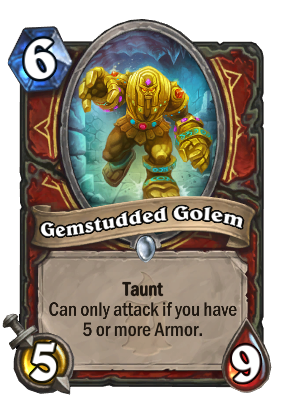 Come discuss Gemstudded Golem over in our dedicated Gemstudded Golem discussion topic. Mostly, yeah, my real worry is - Priest got good cards. Control Warrior has always struggled against Priest. I worry that CW will continue to not be a thing because of how good Priest is. My answer is: The Darkness. You think that'll work as anti-Priest tech? I think it's worth trying in control decks. Time will tell if it's good enough. 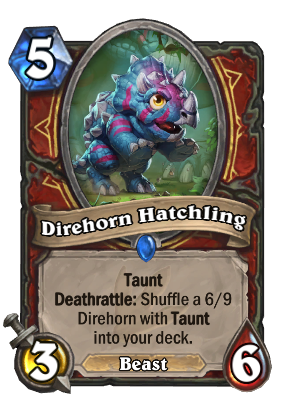 No, you let your opponent be the cruel dealer of unjust cute baby dino murder! hey Ironwood Golem, what are you doing in warrior? Amazing minion great on 6 and good when recruited. 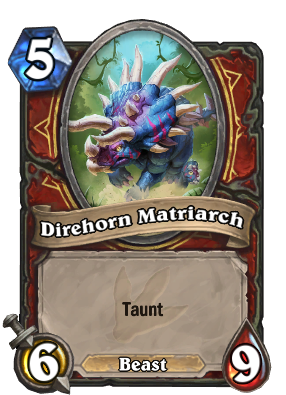 The other 6-drop Warrior is getting is fantastic as well. Is Warrior becoming a turn-6 powerhouse class? Great card. Even great in arena since you don't even really need to attack with it. Oversized nesting rock, Stat line I think is Just/bearly good enough in constructed but at the end of the day I think it is good enough. Sure looks a lot better than hungry ettin as a 4/10 but summons a 2 drop for your opponent, I think that card should be a death rattle effect, makes the card more playable and better fits the theme. Like you kill it and the half-digested two drop pops out of it or something. Aggro decks can't not kill it. Control decks can't keep the armor cleared. What downside again? You have to play Warrior.